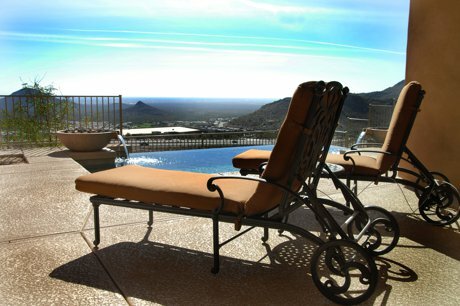 Whisper Rock is a private guard gated community on 800 acres. 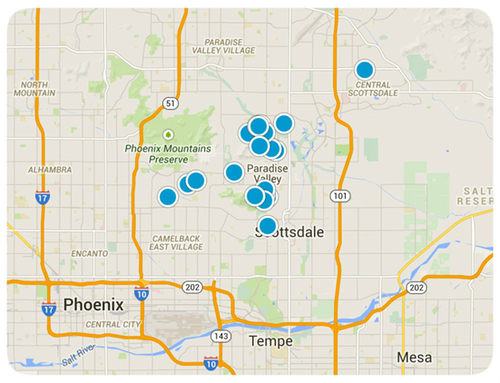 As one of Scottsdale’s top luxury golf communities, there are almost 200 home sites in Whisper Rock Estates. Whisper Rock Golf Club has an upper course designed by Tom Fazio and the lower golf course designed by Gary Stephenson and Phil Mickelson. The goal of Whisper Rock is to give members an opportunity to focus primarily on golf. The Whisper Rock Golf Club Upper Course is considered a tough course, a par-72, with desert washes and boulder outcroppings. The course was opened in 2005. The Lower Course has a design emphasizing a “down in the desert” natural beauty and was opened in 2001. Members are encouraged to walk and use caddies and not use carts. There is a limited number of memberships available, but you don’t have to own one of the homes that surround the course to be a member. Whisper Rock also has other amenities besides golf. There is a private park which features a basketball court, tennis courts, a fitness facility, heated pool and a barbeque Ramada. There are almost five miles of hiking and biking trails near the community, and there are many neighborhood events planned by the Whisper Rock’s dedicated Lifestyle Director. The real estate in Whisper Rock are custom homes inspired by American Southwest architecture, that encompass styles from Native American, Spanish Colonial, Old World and Latin American cultures. They have a simplicity that is both enduring and rustic. Designed to not only blend into the Sonoran Desert area but to also accentuate it. In order to better appreciate the beauty of the desert area, many of the homes are located on lots of two or more acres. This allows for privacy, as well as an opportunity to be a part of the natural landscape. When you consider the amazing golf opportunities, along with the other amenities of Whisper Rock, and the close proximity to other communities for a variety of different shopping and dining opportunities, you will find this is a must consider destination for home buyers searching in the Scottsdale area. 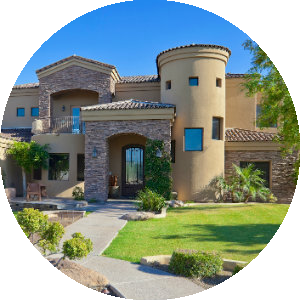 If you would like more information on homes for sale in Whisper Rock, Arizona, please contact us today and allow us to assist you. You'll find the very latest homes for sale in Whisper Rock featured below. This information is updated throughout the day so be sure to check back often! 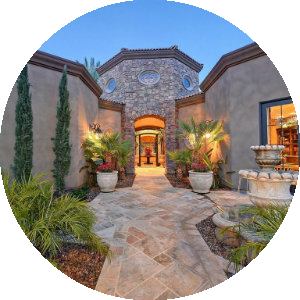 Search the complete inventory of Whisper Rock homes for sale by price, community amenities, square footage, and more using our detailed ADVANCED SEARCH option. See something that interests you? Want more information? 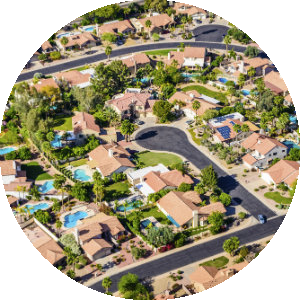 Contact Us anytime to schedule a private showing for any property you find on this site or for more information on the community of Whisper Rock and all Scottsdale area real estate.